This luxurious handwoven rug is 100% natural created with fleece from our own animals. 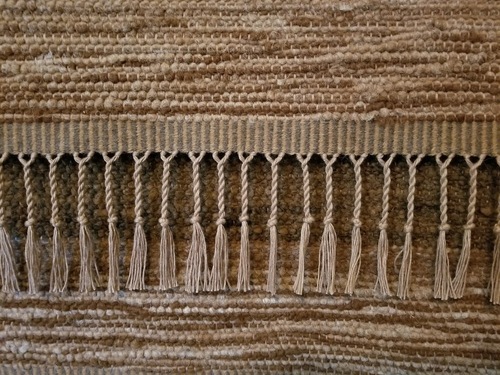 This soft rug is made using alpaca fiber spun around a cotton core to add stability and strength for a rug that will last for many years; the warp used in the weaving process is 100% USA grown cotton. Treat yourself to some luxury with this soft handmade alpaca rug that is perfect for any low traffic area like a bedroom or bathroom. Placing your feet on a unique super soft handwoven rug is the perfect way to start your day. 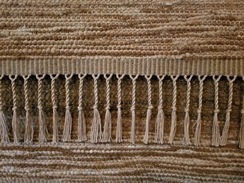 This is just one of many handwoven rugs we have available here on the farm; each rug is unique and one of a kind. If you have another size and/or color in mind call Deb at 618-558-8390 to see what is currently available; we also take custom orders.